Bullyology works with change makers in leadership, to empower their organization to break the silence of bullying. 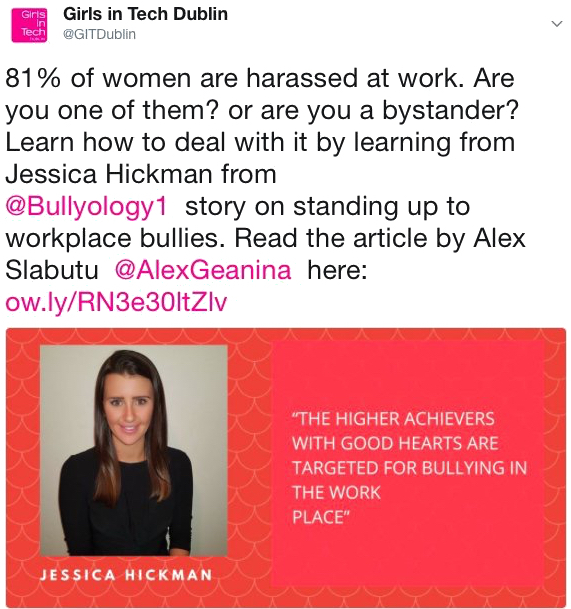 Jessica is the founder of Bullyology.com and is a specialist in workplace bullying. 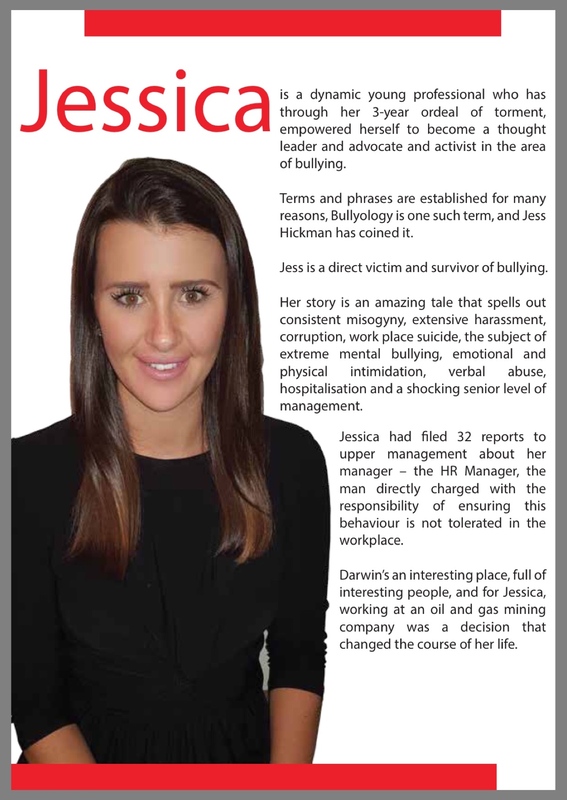 After suffering extensive workplace bullying herself, Jessica turned a negative situation into a positive learning and now dedicates her work to preventing workplace bullying. On her arrival in Australia in 2013, Jessica worked in Corporate Human Resource position in Perth before transferring to a large Onshore Oil & Gas Project in Darwin. It’s here she learned her core lessons, identified the gap in mental health support in the Resources industry and went on her mission to be a change maker, creating her own job position at Culture Coordinator. 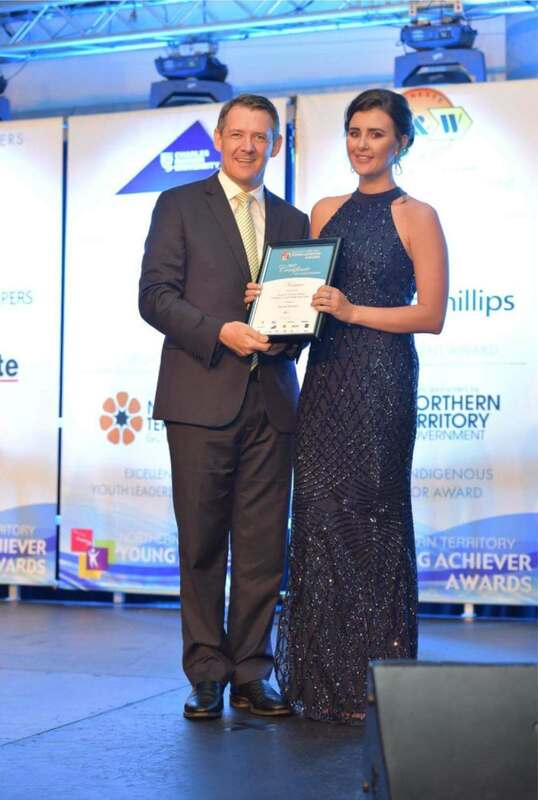 In the workplace, Jessica was a champion, she gained multiple awards and recognition for her work, including the Minister for Territory Families Excellence in Youth Leadership and Exceptional Woman in resources. For 3 years she worked at the front line of damage control, in a workplace with a toxic culture which was created by poor leadership. 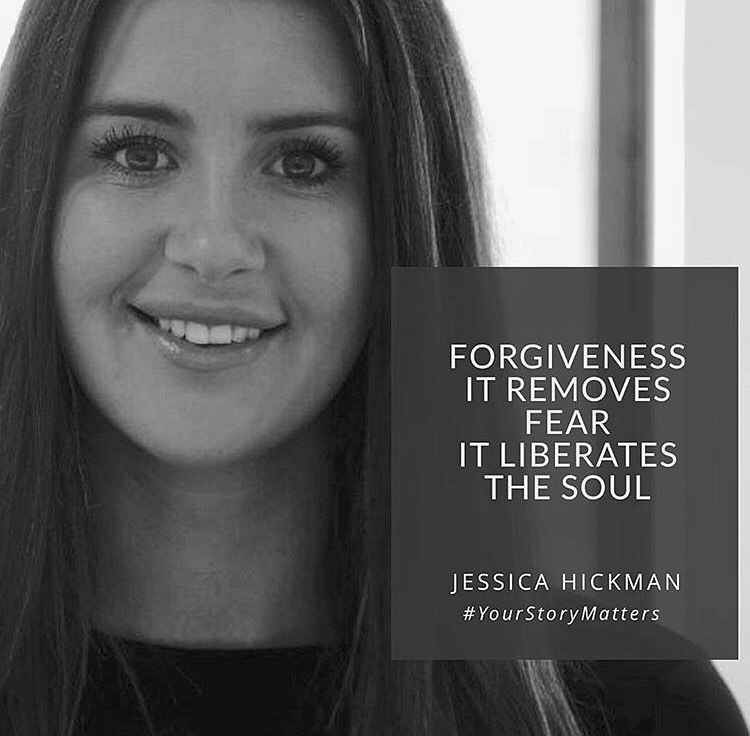 Despite her personal suffering, Jessica worked rigorously to create a positive, empowering workplace culture, masking the toxic leadership behaviour which was tearing the company apart internally. All this time, she was torn between staying in her role and helping others or leaving and abandoning the workforce during the rise of industry suicides. Turning her fear into fuel, Jessica now uses the valuable experience to be a Champion for Change. She educates leaders on the damage that a toxic workforce culture can have on personal and business success.